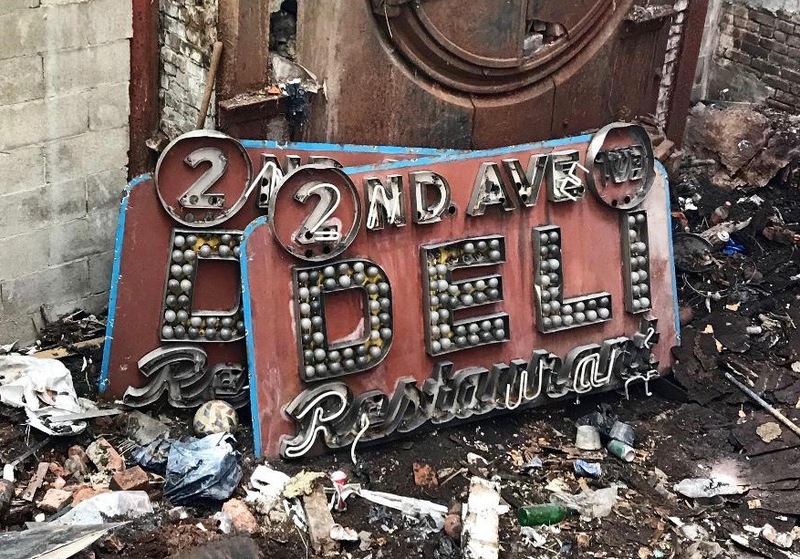 Now and then, the lost artifacts of vanished New York will resurface. I heard from a painter who recently moved his studio into a former woodshop's space in the East Village. 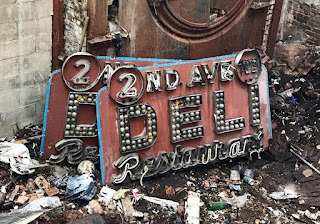 In the backyard, under piles of junk, he unearthed the double-sided neon sign of the old Second Avenue Deli. 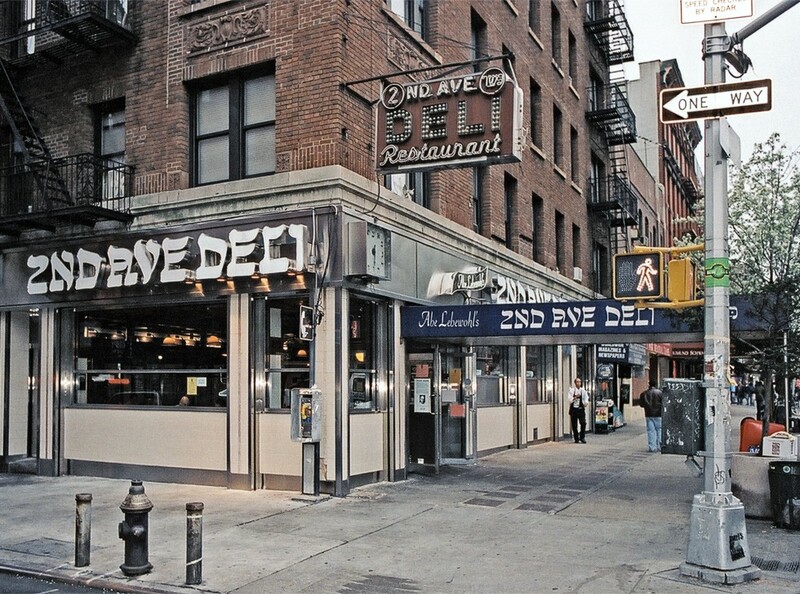 Opened in 1954, the deli (and the sign) stood on the southeast corner of Second Avenue and East 10th Street until 2006, when it closed due to a rent dispute with the building's new owner. Reported the Times, "Jack Lebewohl said he faced an increase in monthly rent to $33,000 from $24,000. The space also needed substantial renovations he was unwilling to invest in without a reasonable long-term lease. His landlord told The Times that Lebewohl owed $107,000 and that eviction proceedings had started. They settled for $75,000." Comic Jackie Mason told the paper, "It's almost like wiping out Carnegie Hall. A sandwich to a Jew is just as important as a country to a Gentile." A Chase bank moved into the space, installed just two blocks away from the next nearest Chase bank, and a block or two from several more banks. As I wrote in my book, Vanishing New York, "Today, the Second Avenue Deli’s Yiddish Walk of Fame remains, out of context and rapidly fading. Carved in stone on the sidewalk are names from the days when this strip was the Jewish Broadway—Fyvush Finkel, Ida Kaminska, Lillian Lux, Ludwig Satz. The names are worn down, ignored and flattened by the crowds walking past, grabbing cash from the ATM before making a beeline for the next pitcher of beer and bucket of Buffalo hot wings...at one of the many laddish sports bars that have sprouted along the avenue." A new Second Avenue Deli opened in Murray Hill, and then the Upper East Side, but the old signage did not go with them. I came upon one, some years back, at the City Reliquary museum in Brooklyn. And now the other has been found and rescued. The painter who discovered it reached out to the Lebewohl family and they picked it up. The painter says that Josh Lebewohl, grandson of deli founder Abe, was glad to get the sign back. "I think he's going to try and place it with the Jewish Museum," the painter told me, "or maybe the New York Historical Society or Museum of the City of New York." Score one for the Good Guys ! Fantastic. 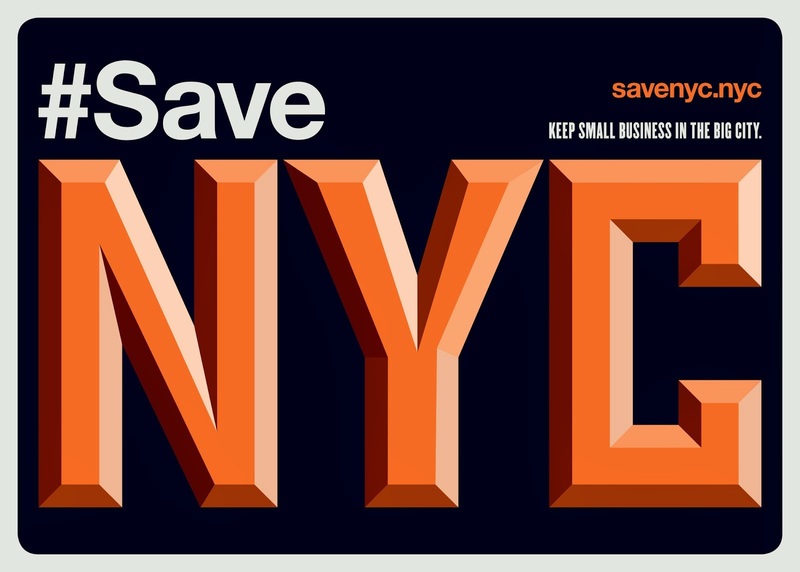 I used to patronize the 2nd Ave Delicatessen, and it was always good. This is like uncovering a sarcophagus from ancient times - noting that our collective memory is moving on at light speed. Museum of the City of New York, maybe? Addendum to my comment. I was so excited to see this I looked past the plan to send the sign(s) to museums. The Jewish Museum is also a nice idea - wherever it can be visible. Omg, I loved that sign, if you can love a sign. I took a lot of photos of it before it was taken down. 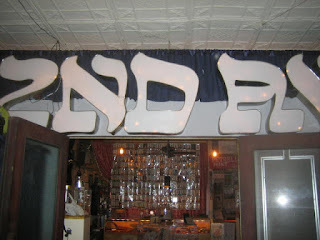 It was not so much the neon, but the many light bulbs in the DELI part. That is a great restaurant, especially that location. Can't eat there anymore because my diet has changed. Thanks for reporting this positive news, Jeremiah. BTW, did you see Corey Kilgannon's September 6, 2018 photo essay in the New York Times about empty storefronts, "Empty Space"? As soon as I saw the headline I thought of your great blog and book, and how you've covered this for years. The Murray Hill location of the 2nd Ave. Deli still serves up portions of a Vanishing New York Deli Dish: Pitcha. I liked the egg salad sandwich at the 2nd Ave Deli. The sandwich was about 2.5 inches thick, made with at least 4 eggs... so good. I bet there's a bank there now. There are now two 2nd Ave Delis, neither is in the old 'hood. 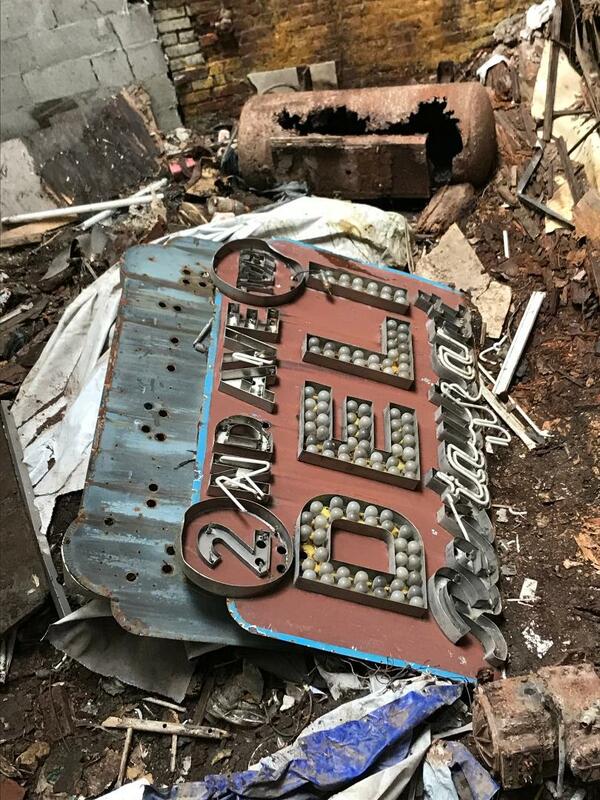 How sad that a landmark sign was tossed in a trash heap like that. I really am becoming to despise the city of my birth. I live 200 miles away now and it's sad to say the city has less and less of a lure.. it was such a fun city at one time. Still is a fun city. Just very different from the old times.